The Institute of Professional Studies at UCLan Cyprus, in co-operation with the International Safety Training College (ISTC) in Malta, offer basic Offshore Safety Training and Certification. 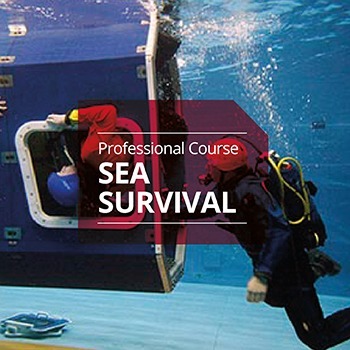 This training programme is designed to meet the initial offshore safety and emergency response training requirements for personnel new to the offshore industry. The aim of the BOSIET (with CA-EBS) is to introduce delegates to the specific safety issues and regimes relevant to offshore installations, and to equip them with the basic emergency response knowledge & skills for travelling to and from offshore installations by helicopter. Training and/or assessment activities contained within this course may include physically demanding and potentially stressful elements. All personnel who participate in such activities must be physically and mentally capable of participating fully. Therefore OPITO approved training centres are required, as a minimum, to ensure that prior to participating practical exercises, the delegate must undergo medical screening by completing an appropriate medical screening form provided by the OPITO approved centre. ISTC was founded in 2000 and currently operates two leading centres in Malta and Libya which provide consultancy and training to the highest professional standards in firefighting, emergency response, disaster management, offshore and marine survival, fire safety, health & safety and first aid. ISTC is Malta’s pre-eminent training centre focusing upon emergency response, disaster management, health, safety and the environment. The unique training facilities offered by the company have been specifically designed to satisfy the learning outcomes required for the aviation, oil and gas, and marine industries, amongst others. These facilities are contained within a large incident ground where risk critical training is undertaken on a daily basis. Services include design and testing of emergency and disaster management plans, training needs analysis and subsequent training delivery, risk assessments, and health & safety audits. Our consultancy services enable customers to meet their legal requirements, while strengthening a safety culture at work and improving the skills of their employees. ISTC’s elite accreditations mean that whatever training your personnel require, you can be assured that it is internationally recognised and delivered by highly qualified and experienced personnel at ISTC. With every BOSIET and FOET (Delivered as a standalone course) Pre-Booking is a must.